What does 21st century Social Studies look like? Social Studies connects student thinking with real world contexts from local to global scales. Social Studies education is essential in supporting students to interact with difference within communities. ​How do we create a sense of belonging for every child and many opportunities for civic action in our classrooms, schools, and communities? Sustained practice with social studies concepts, skills, and habits of mind will foster learning today and citizens tomorrow. Why is social studies important for Minnesota students? The National Council for the Social Studies (NCSS) contends that student learning should involve civic competence as part of preparation for college, career, and civic life. 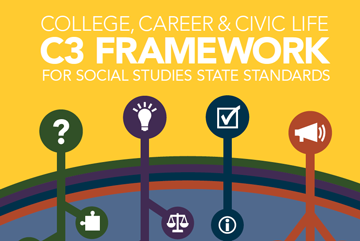 See C3 Framework. Minnesota’s social studies standards embrace this focus on civic life along with deep thinking about how people live together on earth.